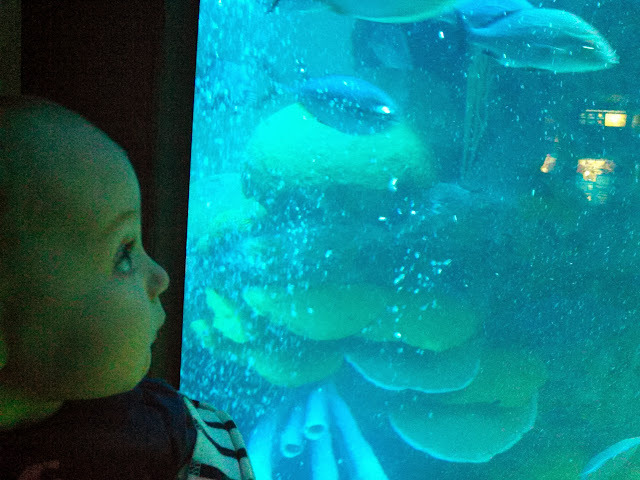 Today, I went to see some fish with Nonna and Nonno after visiting with my new baby cousin Gino. My big brother Enzo showed me around because he's been coming here for years. As Enzo would say, "I win! I WIN!" Mommy thinks we're both adorable in red stripes.